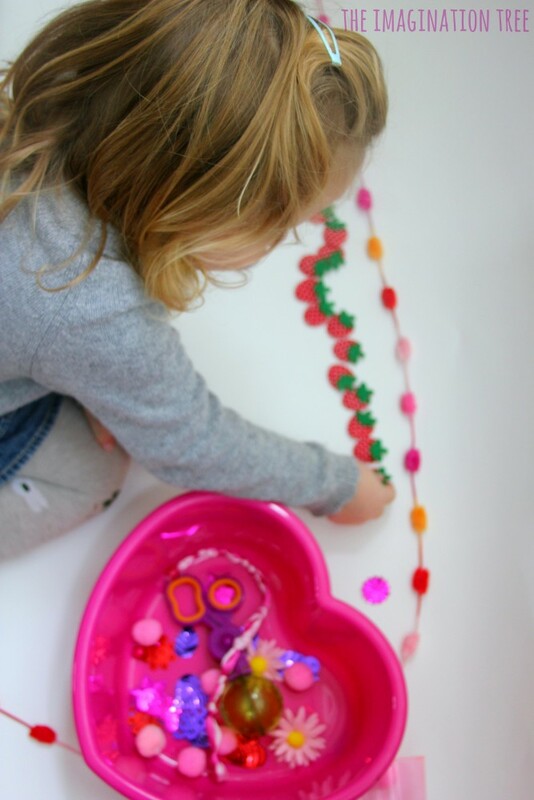 Create a Valentine’s sensory tub for toddlers to explore textures and enjoy simple sorting, counting and fine motor skills! 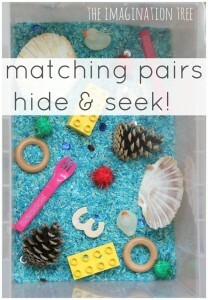 A fun and easy play activity that takes a few minutes to set up and will stimulate lots of imaginative play. 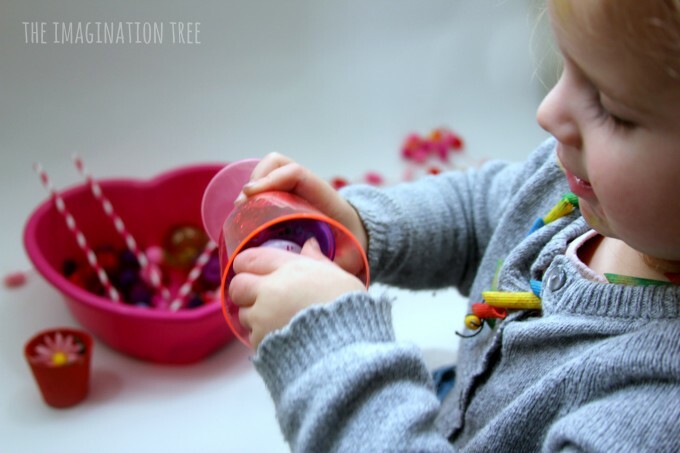 My favourite types of play activities are those that are incredibly quick, easy and cheap to set up. 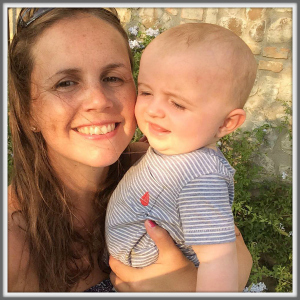 We are all exhausted in the parenting business and sometimes the more elaborate activities can be more hard work than they are worth, when the preparation and clean up are factored in! 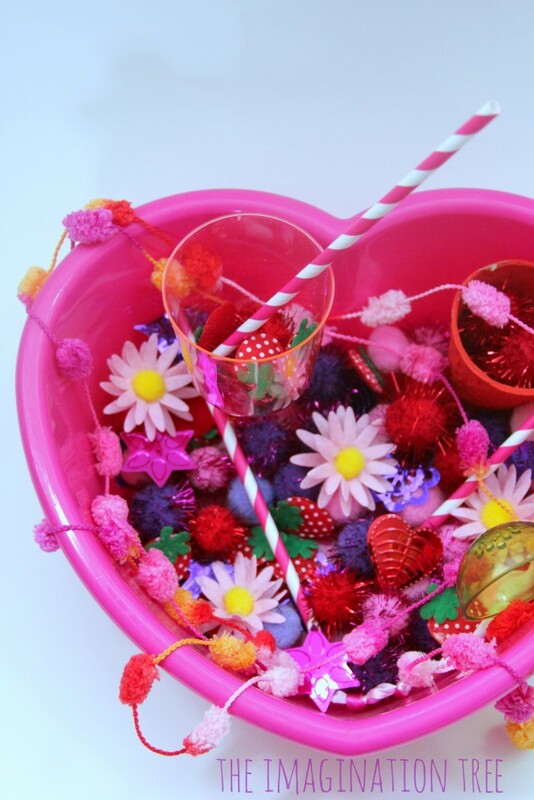 This little Valentine’s sensory tub requires just a bowl (we happened to have this lovely heart shaped washing up bowl from Tiger store) and as many texture-rich loose materials to fill it with. 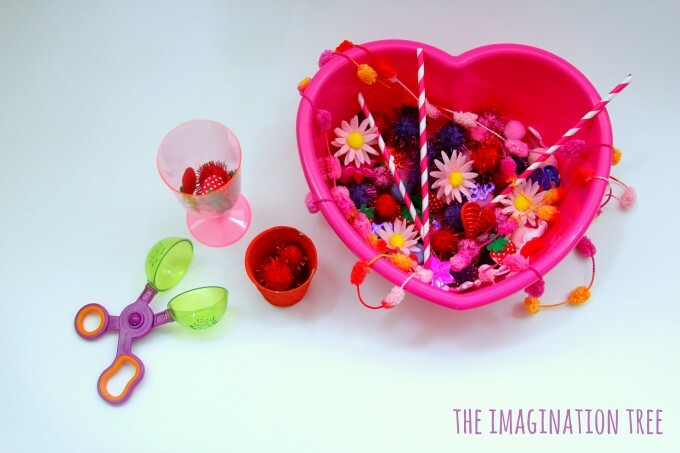 I collect these little bits and pieces when I spot them in craft shops and the £1 store and stash them away in giant zip-lic bags for future play projects. To these we added a scissor scooper for transferring the little objects between the containers. 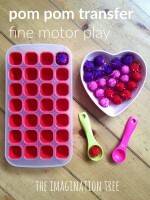 These are such a fantastic fine motor resource for little hands and continue to be popular with the bigger kids too! 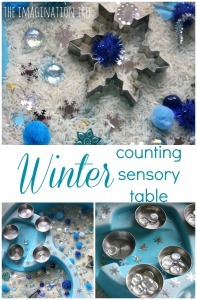 As with all sensory play tubs, it’s all about letting them get stuck in and play! 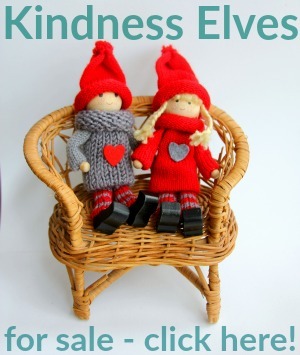 Little Miss did lots of feeling and talking about the items and which were her favourites. The strawberries were very popular and she enjoyed using those as an ingredient to make lots of smoothies and ice creams in the containers. Her main focus of play was imaginative, with lots of cooking and serving of food. This is always a popular choice in our house! Her big sisters got stuck in later on too and did the exact same thing, turning it into a play cafe with lots of drink options to choose from. She was also so intrigued by the fluffy pom pom yarn (it really is lovely so I’m not surprised) and she laid it all out to see how long it was. Then she took all of the strawberries and lined them up underneath it, matching it in length. She came back to this and started to count them all, touching each one as she did so using 1:1 correspondence. She miscounted and skipped over some of the bigger teen numbers and went back and tried again. The scissor scoopers took a bit of time to master but then she was away and loved using them to pick things up and move them around! They also made a great stirring tool and a lovely clip-clopping sound when opened and closed quickly! 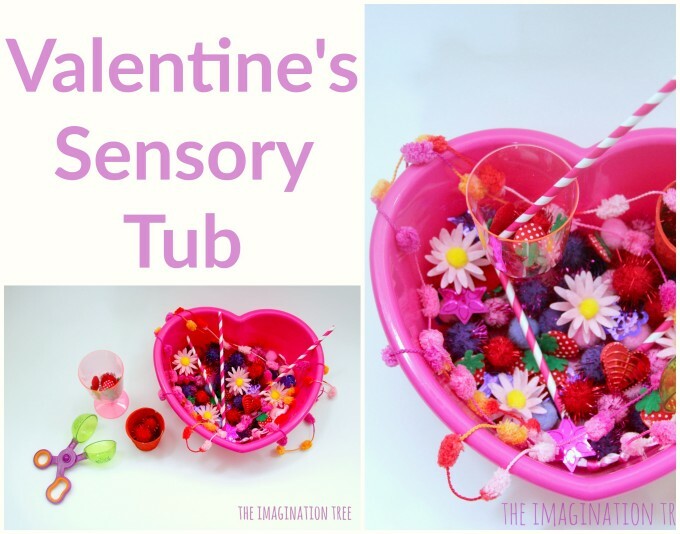 Love this Valentine sensory tub! I’ve looked and looked for the scissor scooper, but haven’t found on any where. Do you have any suggestions as to where I should look?